On the 6th July I completed my latest build at Parlaunt school in Langley near slough. 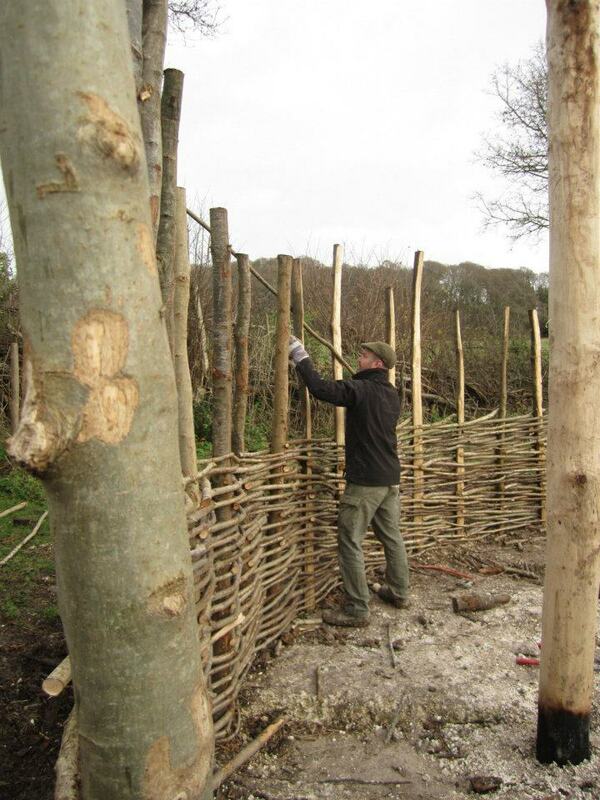 If you would like me to build a similar structure for you please get in touch. This kind of space would be ideal for glamping an outdoor chill-out, dining area or kids play space. Completed this 4m build in July, very pleased with the results, daubing was done by pupils in the school during the last few weeks of term. 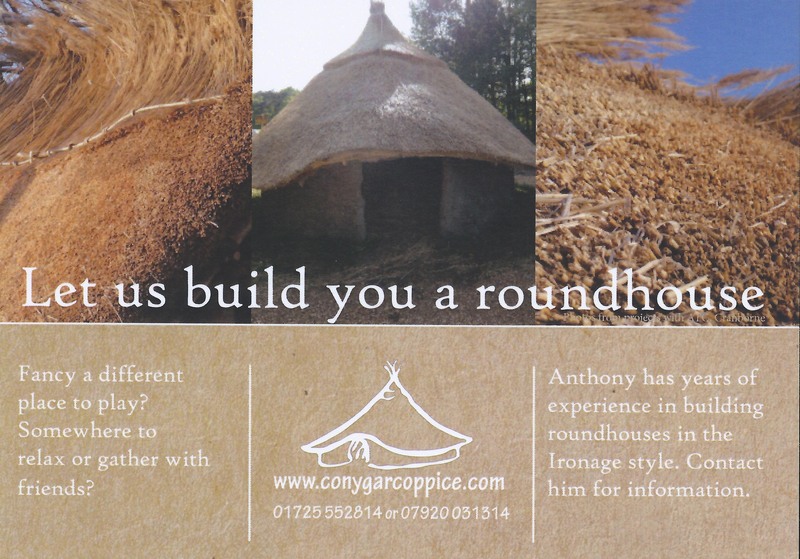 This is a 4 meter roundhouse, the frame was built by parents and volunteers, I completed the thatching, this month repairs have been made to bird damage. With help from Nigel Turton the thatch is now finished. This project was a social enterprise and will be used as a base for school groups visiting the farm to learn about Organic farming and history. 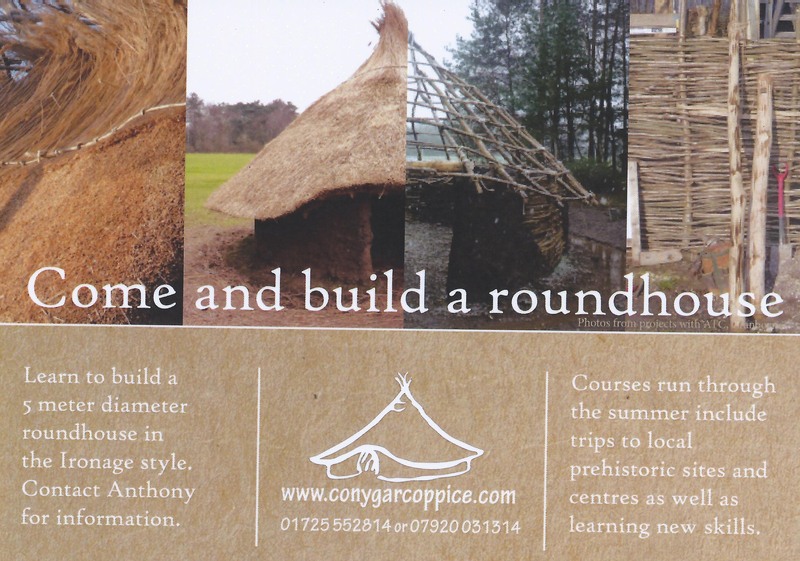 If you would like me to build you a roundhouse or would like me to run a similar course for your organisation please get in touch. Sounds great I can’t build until next spring. I can send you some ideas re budget, my time + materials so that you can work on charging. It will also be necessary to contact your planning officer As it may need permission. If this is the case you should add approximately £400 to the costing. Am away with Boy Scouts in Wales until the 17th and will get back I touch with you then with breakdown of figures. Petra are you still interested? I unfortunately injured myself in September, I am now back on track so do get in touch, I will then put a quote together for you. Sorry for the delay in response, my daughter has been very poorly and I have had to take extended time off work. This will continue to be an issue into the new year. Next year I have several projects including some within the woodland. I’m building a tree house a tarp roofed workshop camp kitchen and updating my fire circle. You would be welcome to come and camp in the woods there is very restricted access and its truly off grid.